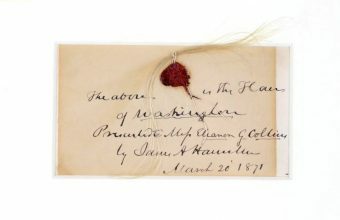 A lock of General Custer’s hair has sold for $12,500 in a sale of Old West memorabilia at Heritage Auctions. 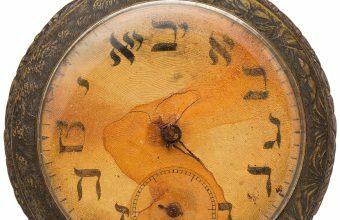 The auction on June 9 achieved a result of $1.4 million, with several important items of historic Custer memorabilia snapped up by collectors. The locks offered at Heritage had originally been destined for his wife Libbie, following an appointment with his barber in 1864, shortly after they were married. But instead they ended up in the hands of the Confederates following the Battle of Trevellian Station in June 1864, in which the Union Army sought to destroy the Virginia Central Railroad. Confederate soldiers ransacked Custer’s train and stole his personal belongings, which included a dress uniform and a presentation sword. 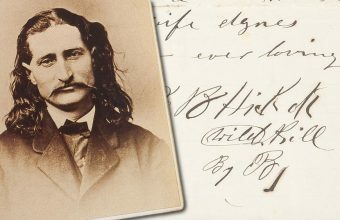 An unsent envelope filled with General Custer’s hair was later discovered inside the sword’s case, and more than 150 years on it ended up on the auction block in Dallas. Throughout his career as an Indian scout and a controversial military leader, Custer became famous for his long blonde hair. Following his heroics at the Battle of Gettysburg, James Gordon Bennett, editor of the influential New York Herald, described Custer as “The Boy General With The Golden Locks”, and the image stuck. So renowned were his long locks that Custer was even known to the Lakota Indians as “Long Hair”, and other tribes as “Yellow Hair”. Custer would often claim he was simply too busy to get a haircut – but he was also known to be proud of his long hair, and he regularly scented it with cinnamon oil. However, when he did find time to get a trim he often sent the cuttings to his wife as mementoes whilst he was away – right up until his death in 1876. 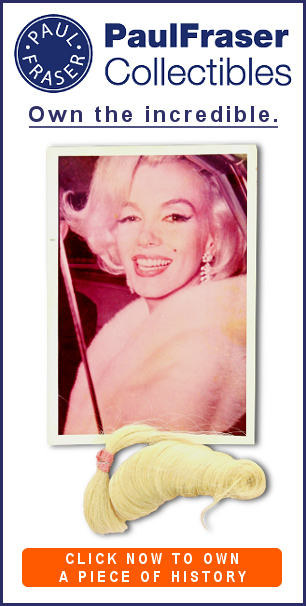 According to family history, Elizabeth had a terrible nightmare in which her husband was scalped by Native Americans. She urged him to get his hair cut and prevent this fate before leaving Fort Abraham Lincoln on his next campaign, and he sent her five braided locks as a keepsake. It was the last haircut Custer ever received, as a month later he was killed along with 268 men under his command at the Battle of Little Bighorn. Having passed down through his family for generations, one of those braided locks sold at Heritage Auctions back in 2013 for $21,500. 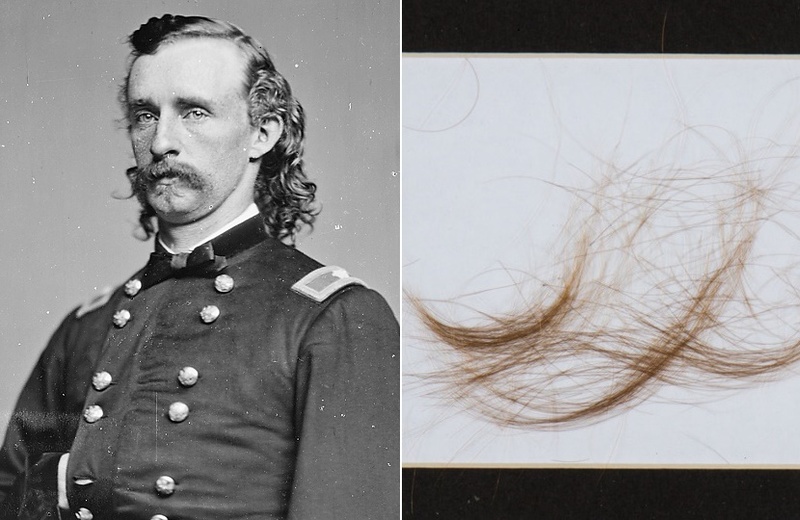 The lock of hair was just one of several Custer artifacts sold by Heritage Auctions over the weekend. The most valuable item was an inscribed .22 revolver presented to him by the United States Volunteers in 1863, which sold for $35,000. Following his death, Elizabeth Custer had gifted the gun to “Captain Jack” Crawford, an adventurer known as “The Poet Scout” who immortalized her late husband’s heroism in a series of epic poems. 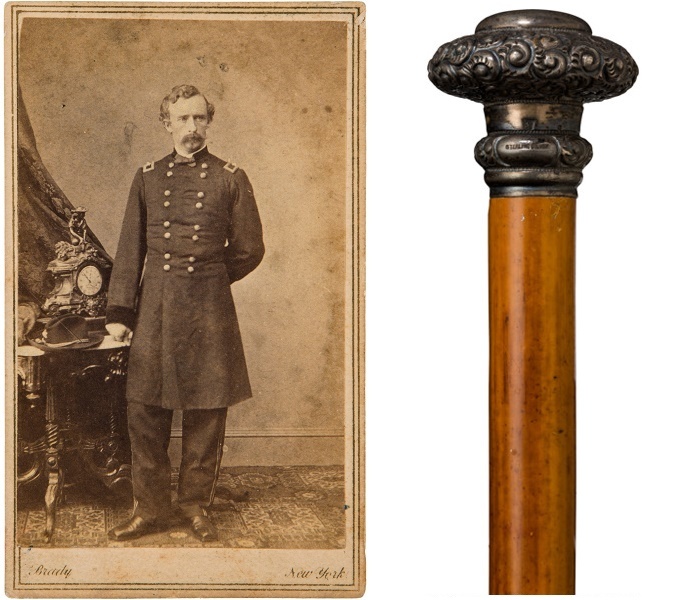 There were also notable results for Custer’s decorative hardwood and silver walking cane, originally given to him by close friend Lawrence Barrett, which sold for $16,250; an Elk horn presentation inkwell, given to him by photographer William Pywell, which sold for $15,000; and a signed Carte de Visite portrait by Mathew Brady, which sold for $11,250.